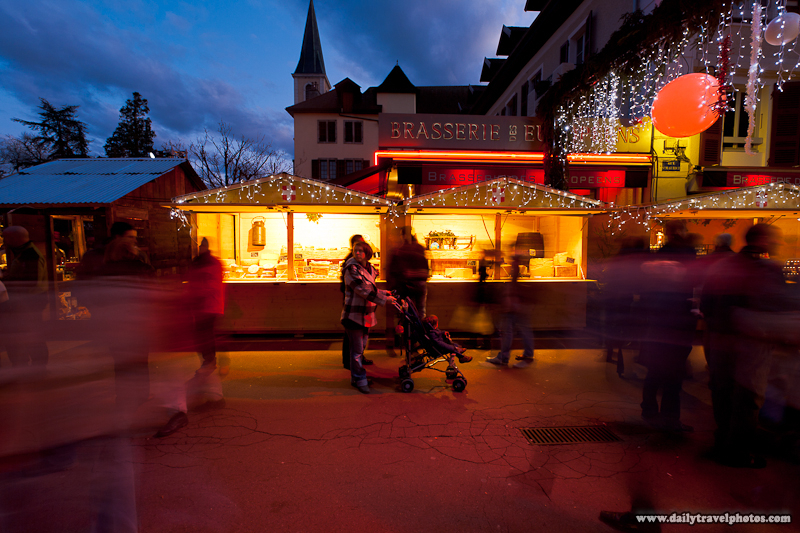 Tourists enjoy a chalet cheese shop at a Christmas market in old Annecy at dusk. During the weeks leading up to Christmas, the town of Annecy sets up a massive series of small wooden chalets to sell traditional local fare such as Savoyarde cheese and hot wine. Again, it's a great atmosphere for the secular and non-secular alike, to enjoy a stroll around old Annecy and take in the wafting smells of roasted chestnuts and steaming Savoyarde diots (sausages). It's almost enough to make me forget that I'm suffering through a winter of nearly 0°C (32°F) temperatures... almost. 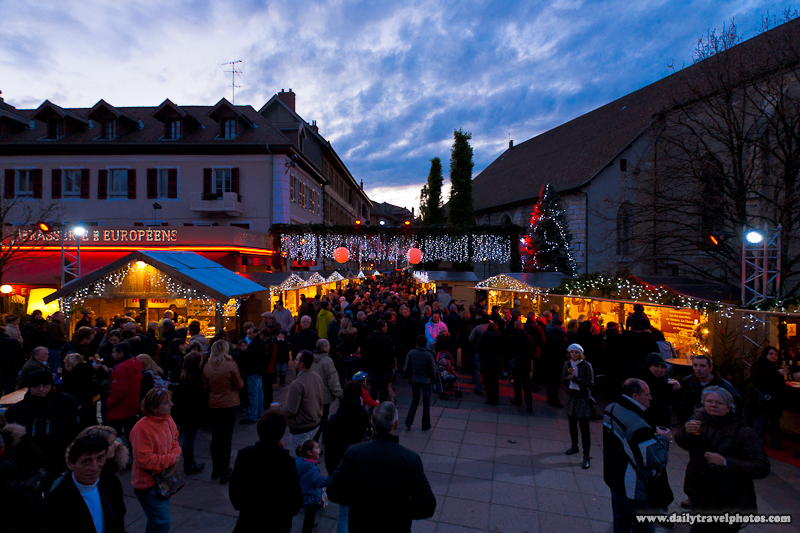 Annecy's Christmas market and its small wooden chalets teaming with tourist life. The town-hall people of Annecy really have their shtuff act together. I present to you, this photo, as evidence. Somehow, city hall officials have managed to make winter tourism in Annecy just as popular and bustling as summer tourism. Just another reason why j'adore (I <3) this city so much!